Time-shift television, a technology that allows people to watch TV shows they missed without presetting devices to record content, is becoming more widely available, giving those with the feature the opportunity and flexibility to view previously aired programs. A new study looked at whether this technology has affected how people watch TV. The study found that people with time-shift TV watched slightly more TV overall than they did before having the technology; they did not watch less live TV, and they did not watch fewer advertisements. The study, by researchers at Carnegie Mellon University, Erasmus University Rotterdam, and Católica Lisbon School of Business and Economics, is published in Management Science. "Advertisers have been concerned that using time-shift TV would decrease the amount of time people spend watching live TV, which would reduce their exposure to ads," explains Pedro Ferreira, associate professor of information systems at Carnegie Mellon University's Heinz College of Information Systems and Public Policy, who coauthored the study. "Our findings should interest advertisers as well as cable companies and producers of TV content." The researchers used a randomized control trial that involved cable customers from more than 50,000 households. Some of the households were given premium TV channels, which included popular movies and shows without commercial breaks, for six weeks. In some of those households, consumers were also given access to time-shift TV, which allowed the researchers to observe the effect of the technology on consumers' consumption of TV. The study found that on average, having access to the premium channels with time-shift TV increased households' total consumption of TV through viewership of both live and previously aired programs. Having time-shift technology did not change the amount of time consumers viewed live TV but boosted the concentration of total TV viewership because viewers used the technology disproportionately more to watch popular programs. 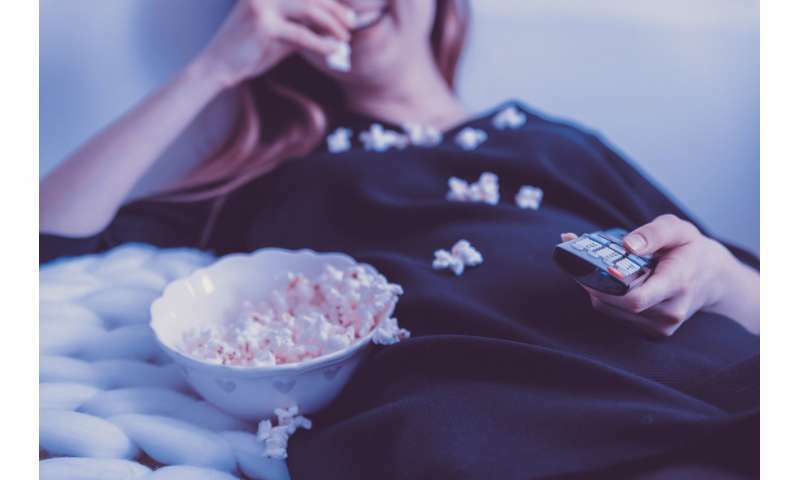 The study also found that time-shift TV was used more frequently for watching TV programs and movies, and not as frequently for watching sports and news. The technology didn't change the consumers' behavior towards watching advertisements when they watched the original TV channels live, suggesting that consumers didn't use the technology to strategically avoid advertisements. "Our study showed that having time-shift TV technology didn't reduce the amount of time people spend watching live TV. In addition, we also showed that people aren't abandoning ads more frequently even when they have time-shift TV," says Pedro Ferreira. More information: The Impact of Time-Shift TV on TV Consumption and Advertisement Viewership, Management Science (2019).